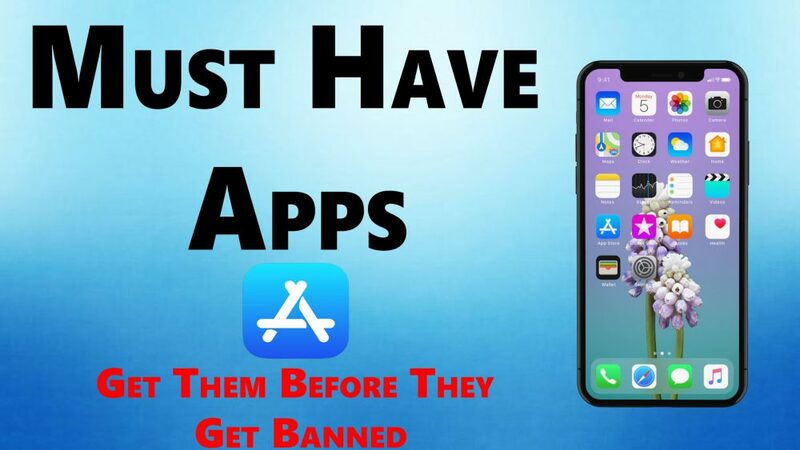 Must Have Apps For iOS Devices – Hello everyone, Today I’ve discovered a few amazing must have apps and those apps really amazing. so through this article, I’ll share those apps with you. you can download them directly from the app store that means you don’t need to jailbreak your iOS device. But, of course, you’ll need to hurry up to download them. because they get removed any time from the app store. Some of them, of course, will last there longer and some of them get removed pretty fast. So let me tell you about these apps and also, I’ll teach how you can use them on your iOS device. so let’s go further and have a look at these amazing apps. The first app for this article is super cleaner lite. this app is pretty awesome and it allows you to free up space on iPhone. so the app is free of course all you need to do is just go ahead open the app and you will have the few tabs on the homescreen. The first one is that allows you to go ahead and free up space on iPhone. you have other ones right there and this will show you RAM memory. It doesn’t allow you to clear RAM memory. just will show you details about the RAM memory then you will have the network. you can start a speed test for the network and then right there if you go on the last tab then you will see more details about your device if you go to storage right there you will see the free space that you have currently on your device. if you click start right there then it will run and it will actually free up space on your device. So this is really really awesome if you have a device with low storage then you can go ahead and use this free app and it allows you to free up space on your iPhone for free without paying a penny this is pretty awesome. The second app is a private browser and this one is pretty awesome. it has two amazing features one of them is downloading videos. so you can go ahead and save any video from any website to the camera roll of your device. All you need to do is just go to the website, from where you want to get the video or just paste that link in the app and once it shows the video wants to start playing. It will show you the download button right there and then you go to downloads right there and you will find right there the video that you have saved. Just go ahead tap on the video and tap right there on the three dots. click on the share button and from here you have the option to go ahead save that video to the camera roll of your device as easy as that that’s really amazing. Now let’s move on to the second feature, which is really really awesome the second feature is picture-in-picture. this app allows having picture-in-picture on iOS 12 device. so if you go ahead and play a video then you will see, it will detach the video. so you can use it on the browser. So you cannot use this outside of the app. you can only use it on the browser. so you can, for example, watch the video you can resize it and you can move it anyway and you can still go ahead and browse anything you want and still have the video playing right there in the background. The third app I’m talking about is song flip. it is really amazing and it allows you to go ahead and stream music on your iPhone and also it has the feature that we all want. you can go ahead and save any song that you want. so you can listen to it offline. If you open the app then you will see the UI of the app right there. it’s really nice and simple then you will have three tabs that you have to use right there. So you will have the search bar then you will have your music player and then you will have also your playlist. so you want to search a song you can go ahead and search for it. you can search for any artist or any song or you can go to trending music. You can go to different genres and you can discover different music right there. so you want to go ahead and save one of those songs. so that you can listen to your device even if your device is not connected to the internet. Very easy just go ahead tap on the given plus button right there and make sure you add it to your playlist and once you go to your playlist right there you will find all the songs. So that’s pretty much it for this article guys. these all are the must have apps for your iOS device. you can download them on your iOS 12 device too. so go ahead and download them. Because they get removed any time from the app store. hope you like this article and if you like this post then please don’t forget to share this with your friends, family members, and on the social media. also, visit daily on this website for reading more new articles.